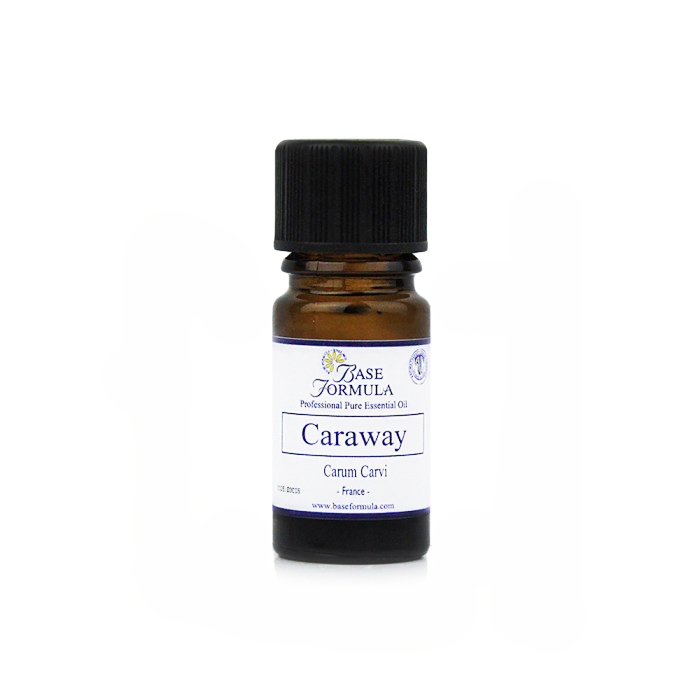 Caraway essential oil has a sweet, warm, spicy aroma with a hint of pepper. It is a calming oil and can help to settle the digestive system and stress-related conditions. Caraway is a bi-annual herb that originated from Asia Minor, but is now cultivated in Northern Europe, Africa and Russia. It grows up to 60cm (2 feet) and has soft fern-like leaves, umbels of white/pink flowers and small brown fruit. Also known as Meadow Cumin, it is a very old, well known spice, used as far back as the Stone Age. The Egyptians used it as food flavouring, the Romans in bread-making and in the Middle Ages the Germans and Austrians also used it in their cooking. Traditionally this herb is associated with sharp eyesight and sweet breath. This natural oil has also historically been used to calm and soothe digestive problems and stress related conditions. In modern aromatherapy Caraway essential oil is still used to settle the digestive system. It has an affinity with the female system - helping to regulate, soothe and comfort, and is also effective at fighting skin and scalp conditions. Caraway essential oil settles a nervous tummy and improves digestion and intestinal flow. It can also assist with urinary problems and painful periods.